I need more space for my cars. I’m tired of renting a storage unit for parts, storing my Porsche 944 race car in the opposite direction from said unit, and still having more parts in my living room. I need a garage at home, or at least a carport with a storage area attached. Yet there’s no easy way to search for a home by the size of its garage like you can for the number of bedrooms or bathrooms. What gives? Just like everything else, the internet now allows normal, everyday house hunters to browse home listings in the comfort of their own homes. A realtor may still have the inside line on future listings, but already listed homes are searchable online through services like Trulia or Zillow. Most even overlay results on a map now, letting me see exactly what that weird house a couple blocks away looks like on the inside. That rules. HAR.com’s search filters, which were clearly designed for our love of duallys and broughams. These home sites have drop-downs and check boxes for everything that you can possibly think of and some things that even the most HGTV-addled brains won’t. You can search by square footage, number of bedrooms, number of bathrooms, or whatever—but searching by the number of garage or carport bays is either not an option, or highly flawed. This listing says “Garages: 2.” Technically, these are two spaces inside a garage, so it’s not wrong! There’s just no way to differentiate between this and a separate garage in home searches. So far, Texas-specific search site HAR.com is the only one I’ve found here that will let me run a rental search based on the number of garage spaces I want. They even let you get specific about said garage: whether it’s attached to the home, oversized or tandem. It’s clearly the product of a state known for big cars. So, I have a search query there stored to automatically send me anything that pops up that—as written—fits my preferences. In practice, I get a lot of disappointing emails. The problem is, home listings aren’t built for the wide variety of parking situations that tend to come with condos and rental properties. 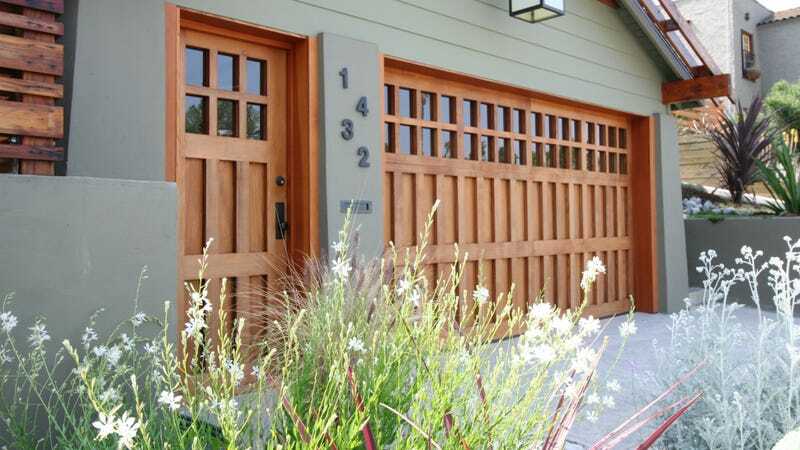 Even when I’m able to specify a certain number of garage spaces needed, realtors filling in the “Garage Spaces” box often don’t differentiate between a private garage that’s all to yourself and a shared garage where you’re assigned a certain number of spaces. Many of those in-garage parking spaces won’t allow you to work on your own car there at all. Even if the building’s management or HOA was fine with it, you’d still be extremely short on space. Shared and private garages should not fall under the same results for “1+ car garage” because they’re functionally different from each other. It’s the car equivalent of counting a half-bathroom (just a toilet and a sink) as if it’s a full one. You can take care of a basic bathroom break in a half-bathroom, but you’re out of luck when it’s shower time. I can exclude types of rentals I don’t qualify for or want on Hotpads with a checkbox, but the only way to search for a garage is by keyword. This is what happens I manually search for the word “garage.” By no fault of the straightforwardly written listing, I’m getting results that aren’t for what I’m looking for. Most rental searches don’t even give you that hit-or-miss drop-down like HAR does, at which point, my search for some car space with a nice living area thrown in with the rent becomes even more absurd. It all feels like an extension of a depressing theme I’ve picked up in years of binge-watching home shows: the garage is often just an afterthought. If it’s shown on TV at all, it’s probably because the team remodeling it views it as “free space” to enclose for an ugly add-on. That’s a special kind of heinous, especially if they’re a certain home show that’s also based in central Texas. Yet covered parking is a desirable must-have for many house hunters. I can search for up to five or more bathrooms and display how bad traffic is, but I can’t specify how many garage spots I need on Trulia. I only get a single yes-box to click. Bird poop eats car paint, sun exposure fades and wears the car’s materials, and hail can pulverize the crap out of it all. I don’t want neighboring cars or inattentive drivers adding to the dents and dings on the sides, either. If you like (or even tolerate) your car even just a tiny bit, a place to store it out of the elements is nice to have. It’s especially ridiculous when these house searching services cater to every other whim and need out there. I can tick boxes on various sites for media rooms, community tennis courts, wheelchair accessibility and senior, student or military housing. I can specify neighborhoods, housing types or architectural styles! Furnished or unfurnished. Low-income or not. Trulia’s map even lets you overlay things like flood zones, crime statistics and traffic data onto their search map. But no one’s really thought about the variety of parking situations whatsoever. Here’s a simple request: give me a garage drop-down that separates the different types of garage spaces out by function. If I specify “1+ car garage,” it should be a no-brainer that I mean the private type, where I can store other crap and work on the car in my own separate space. List the others under “Shared Garage,” or some other obvious name.